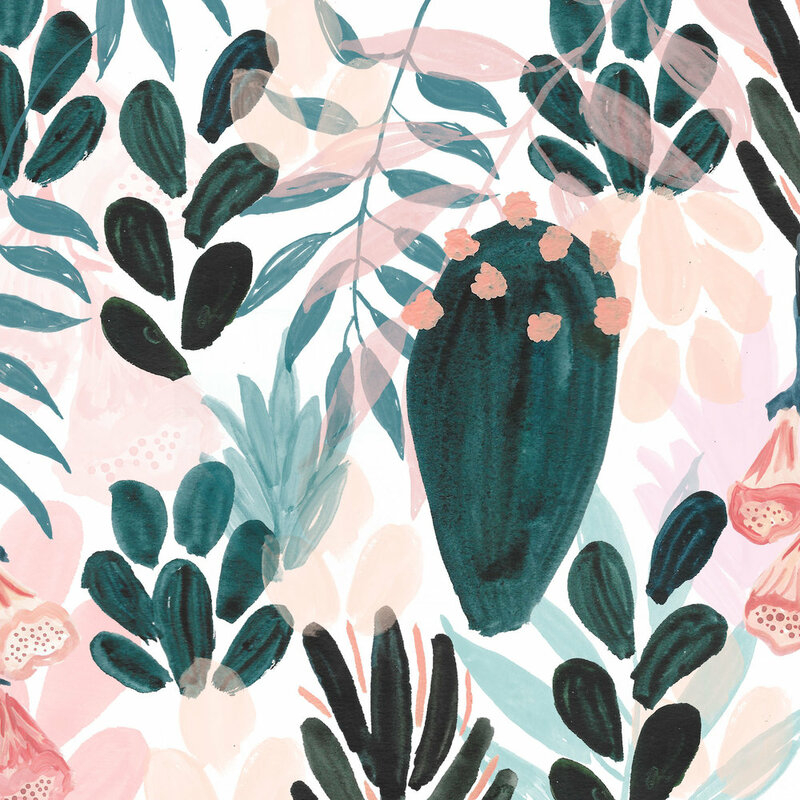 Hello, I’m Chloe, a freelance surface pattern designer. I live on a narrow boat in Leicester, I’m quite lucky that I am surrounded by nature, as it’s my main inspiration. I have always been into art and design, and did Graphic Design & Illustration at De Montfort Uni and haven’t really stopped drawing since. I’ve been running Chloe Hall Illustration since I graduated and feel like over the past 2 years I’ve really focused on nature based patterns and just ran with it. I can’t stop drawing plants so I might aswell just keep going with it now I’ve started! I put my patterns across various products but I am really going to focus on greeting cards, notebooks and prints - I’m hoping to branch out into large format prints in the new year, which is really exciting! Probably that you can’t please everyone so stop trying to, and don’t worry about things when they go wrong, as stuff always sorts itself out. I often get like this if I haven’t been outside at least once a day, so I try and nip out for a quick walk or even just nip to the shop. Think it helps to re focus and get back into it as you’ve had a little break. My water colours, fine liner and my wacom tablet. I sometimes begin my illustrations with simple line drawings and then sometimes I just go straight into the watercolour and hope for the best. I try not to make the illustrations too perfect, I like using my initial illustrations for the final patterns, to keep it loose and not too regimented. Once I’ve got a few illustrations that I think would work well as a pattern I then scan everything in and use Photoshop to create the pattern. I am a part of Codswallop Collective, and I think attending Pick Me Up in Somerset House in London is always going to be one of my favourites, we had only just finished university that year and had so much fun being in London around loads of other creative people. I’ve also done some work for the This Girl Can campaign and also seeing my patterns projected on a large scale in Leicester City Centre was also one of my favourites. I am a pattern making addict so if anyone asks me to create a pattern for them it’s a dream! Ummm that’s hard, think it’s got to be a paint brush, watercolours and a sketchbook. Lots of places really, but mostly the outdoors, the sky, plants, anything pastel coloured...I always feel inspired when I’m by the sea. I think it’s got to be William Morris, I love the patterns he created! When I’m long gone, I hope people remember me for my patterns brightening up people's homes.